Postgraduates working with engineering charity as part of their Design and Layout for the Web module. Masters in Electronic Publishing students at City University London are starting an exciting project. They are devising new design ideas for the website of Engineers Without Borders UK (EWB-UK). The project is part of the course's Design and Layout for the Web module and will last three months, culminating with presentations to the charity's directors. The students will be working closely with EWB-UK to develop initial concepts, digital prototypes and, finally, demonstration sites. Dr Neil Thurman, Senior Lecturer in Electronic Publishing at City, says: "Working with real-world clients gives students an insight into the challenges that face online media professionals face today - how to attract and engage with more visitors and generate revenue in new ways - so we are very grateful for EWB-UK's participation in this project." 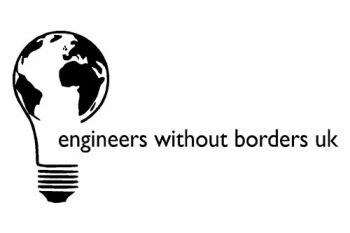 "EWB-UK is an engineering charity relying on volunteers in virtually everything we do, including the design and maintenance of our website. We want all aspects of our activity to provide development opportunities for young professionals. We're really excited about this opportunity to have City's Electronic Publishing students work on new designs for our website and I'm looking forward to seeing their fresh views and creativity reflected in the project."